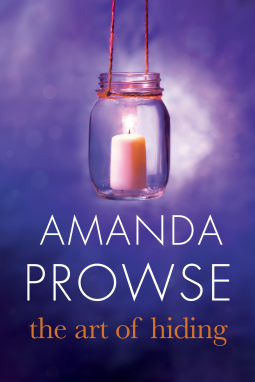 In The Art of Hiding, Amanda Prowse tells a story of a woman who seems to have lost almost everything. Nina has come from a poor background but has been caught up in the love and promise of nice things and a worry free life from her husband Finn. When her husband dies in an accident she has two sons, a fifteen year old and ten year old, and she is about to find out all the things that Finn has been hiding from her. Nina and her boys have lived in a large house, the boys have gone to an elite school and Nina has never worked since marrying Finn. She has been safely ensconced in her large house taking care of all the needs of her boys and husband. Now according to her sister that is not really healthy and as the days unfold, Nina's sister Tiggy just might be right. Where are those rich women when Nina's world falls down around her. Well like rats leaving a sinking ship - they are gone. When Nina returns with her two boys to her home town, it is really, really tough. Declan the ten year old is in shock, Connor her fifteen year old is by turn sullen with flashes of caring at odd times. Nina needs a job, but... how many jobs is she qualified for? Well very few or none actually. The neighbourhood is a far cry from what they have been used to, but step by step they all make their way. Nina has guts and aided by her sister Tiggy she slowly finds her way forward. She begins to examine her life and choices, who was she... who is she now? It is difficult, her boys are struggling as you would expect, they are all grieving. But there are unexpected offers of support and the people they meet are quite different to those they once knew. This is a very realistic story of grief, shock and loss. Of being thrown in the deep end with the choice of sinking or swimming. It is about family and what it means to have true friends and the place of money in happiness. I really liked the book and found myself returning to it any moment I had. Sounds like an emotional and good novel. I have had my eye on this one, as I read The Idea of You earlier in the year...and have a copy of The Food of Love waiting on Pippa. Thanks for sharing...and inspiring me add this one to my list! Oh great premise Kathryn, I think this would be great when I'm in the mood for a tearjerker. I haven't read any by Ms. Prowse but it sounds really good! Now I want to check her out, and I'm glad you enjoyed it so much. Sometimes I'm in the mood for that kind of story. I do like these sort of stories of loss and recovery. Great review, Kathryn! That sounds like a very emotional read, and I love realistic you found it. Adding to my TRB, as that's just the kind of read I love.